Take a closer look at the revolutionary Entrepreneur® Pro PR1050X, a highly powerful and efficient 10-needle embroidery machine, but with the ease-of-use and reliability that only Brother can provide. The PR1050X raises the bar within the industry for embroidery enthusiasts, crafters and home-based entrepreneurs. The PR1050X comes equipped with some of the most powerful design and editing capabilities ever built into a multi-needle embroidery machine. Just when you think you’ve reached the limits of creative freedom, look again... eXplore the possibilities! 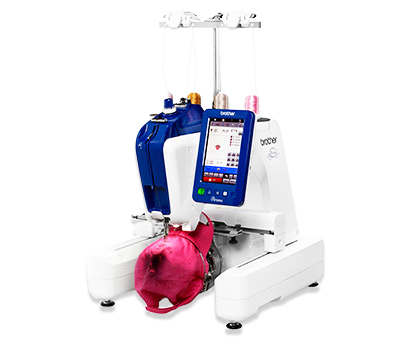 Industry-first ScanImation™ Scanning frame to scan line art or handwriting and convert into embroidery data. 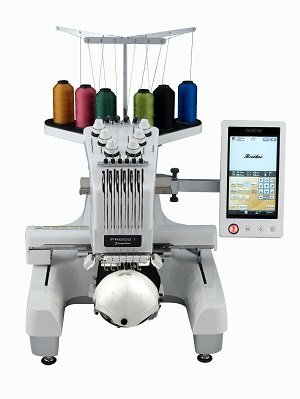 When it comes to powerful, multi-needle embroidery, Brother™ set the standard with the Entrepreneur® PR-Series. The new PR655 6-needle home embroidery machine boasts an array of features and functions that make it the first word in multi-needle embroidery for profit-minded professionals and passionate hobbyists alike. The PR655 offers everything you need to take your embroidery projects to the next level. Enjoy pinpoint needle placement with the new Droplight™ Embroidery Positioning Marker that uses a laser to see your needle drop position. Become a master by watching on-screen tutorials with the large LCD touch screen display which offers vivid, crystal-clear lucidity. 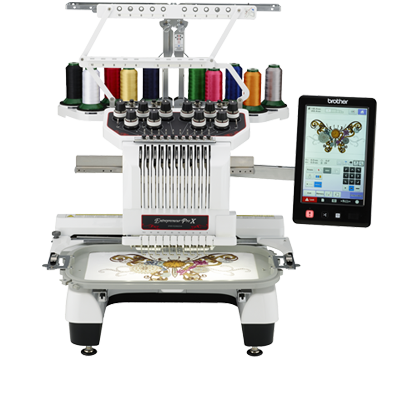 Exciting new software updates and features make this multi-needle embroidery machine the ultimate in embroidery. .
+All iBroidery.com designs are available for additional purchase.